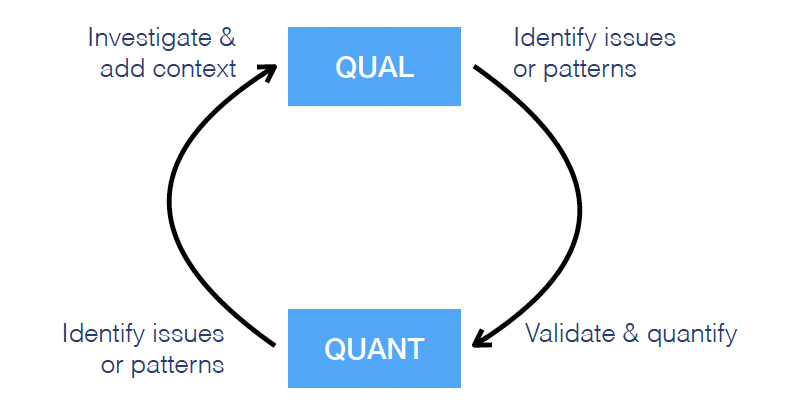 Why quantitative and qualitative research needs to run together? As a UX designer, I am in love with metrics this whole idea that we can just use data for anything and A/B tests is the best way to a great product. I think it’s just one of the worst aspects of the rise of this worship of data. Lots of teams think that quantitative data can solve all of their product problems. Quantitative data doesn’t replace designers or design or replace listening to the users and it doesn’t tell us what we should be building. It gives us another channel for getting feedback from the users, but the information that data gives us isn’t the same as what we’re getting from connecting with actual human beings who are using our product. It only gives us information about what we have built. Quantitative data can help inform our design decisions, it doesn’t replace designer, but it gives us important feedback on the product decisions that we’ve made and understand whether our decisions helped or hurt user behaviour. Data can tell us whether we’re going in the right direction and it can also help us inform our research and tell us what we should be investigating. We are going to use a checkout process funnel as our example, in this process users sign up for mobile plans. Everything you pour on top of the funnel comes out from the bottom that’s how funnels work. We are losing a certain percentage of the users who started right from the top and from each step users are dropping out. 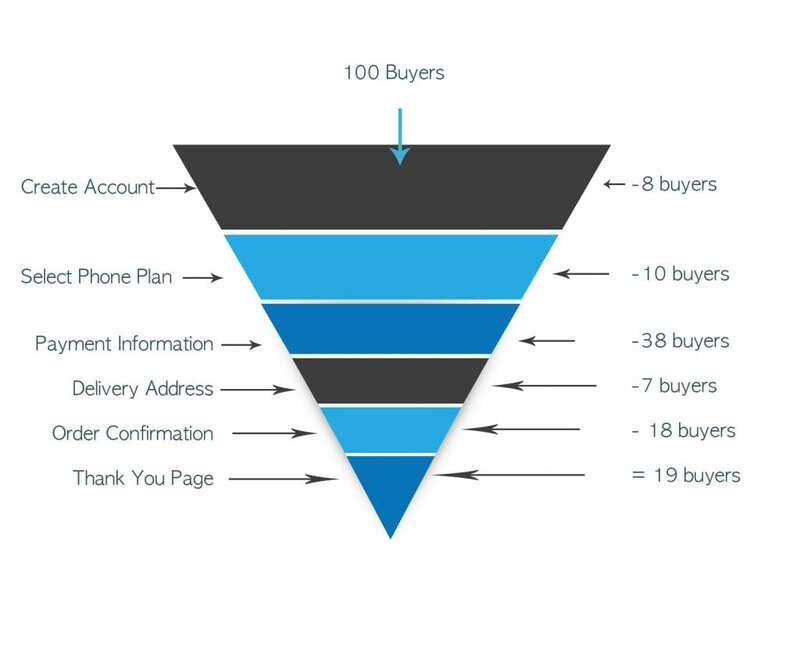 For every 100 users that are going through this funnel only 19 users are successfully getting through in other words you’re acquiring users through some means probably with google ads or getting customer referrals or any other expensive channels. If you look at our checkout process, we are losing more users in some steps than others like specifically on payment information screen step looks poor, we are losing 38 users out of every 100, so that’s what we call a friction point. By looking at these numbers most of the teams immediately will start working on the ways of fixing the payment information screen. Some team members or stakeholders will suggest, “maybe we need to add new payment methods” or “may be it’s really confusing for user see the credit card type dropdown” or “maybe the user needs to feel secure and we should put a big lock on the page” or “may be we should try doing all of those things and then just see if a problem gets fixed”. Now at this point you should immediately stop thinking about solution. You are effectively trying to use quantitative information for something that it does not do you’re trying to use it to explain rather than to describe. If you really want to understand that friction point you need to do two things you need to describe it right and you need to say this is what is happening in the process that’s where the metrics and analytics are useful and using qualitative research you need to explain why it’s happening. The first step in making a product change is to create several solution hypotheses because we need to test to see if the change was successful. In order to test to see if proposed changes are successful, we have to define what both success and failure look like. You should list all the possible negative consequences of the change as well as the positive ones. By listing these possible negative and positive consequences, you can evaluate later, which changes worked and which didn’t. We can use these steps to identify a new problem by looking at our quantitative data and try to fix it. We should keep iterating until we are consistently happy with the numbers that we’re seeing in the funnel. There are lots of other ways to combine qualitative and quantitative data. The combinations are endless, you can start with qualitative research and identify user needs through user interviews or you can spot different patterns and very large sets of data or you can start with the usability test. It also depends on time, budget and resources available. The struggle for meaning – Is the Intranet dead? People struggle to find meaning in life. Our place in the world. The value we provide. Our political persuasions allow us to either rethink definitions or preserve our traditions & institutions. Funnily enough, this philosophical divide plays out in technology all the time. The morbid question – Is the intranet dead? – seems to be popping its head up recently. I get it, the world is evolving, our expectations of ‘digital’ has changed and technology is at a point where it’s no longer a barrier to seizing opportunity. Socialists would argue the traditional Intranet is dead or at least facing an identity crisis. The word shouldn’t be used or should significantly be redefined to reflect modern times. Conservatives would argue there is no crisis, the Intranet is fine as is and should not change its definition. Doing so will shake the digital foundations of any modern enterprise. It all comes back to meaning; what do we mean when we say Intranet? Definition sets the baseline. It helps us see understand if any change is required. Here are some insights from the definition. The core here is identity. Identity brings utility. Identity powers relevance. Who should have access? What content should they see? Access is historically defined by organisational boundaries i.e. All staff should have access, but not contractors or service providers. Gone are the days when the intranet didn’t know who you are. The foundations of an intranet. Communication is arguably the most important aspect. It’s evidenced by Corporate Communications teams having ownership and being influential when it comes to decision making. It’s viewed as the primary communications network as it’s available to everyone. It’s there when you login. It’s there when you open your browser. Metcalf’s law is relevant here. The value of the system is proportional to the square-root of connections. Meaning – the more systems, people & content a person is connected to, the higher the value. Pre API-Revolution, meaningful integration was but a dream. We are now seeing the value of APIs – Data is the digital currency which flows through APIs. Intranets need to become more networked. More connected. More relevant. It does not limit how it’s consumed – It doesn’t specify browser, device, time or even place. It limits how its created – Only World Wide Web software? So 2000. Conceptually this type of software is used, but its not limited to it. It doesn’t limit evolution: My favourite. It shouldn’t be left to deteriorate whilst others evolve. It doesn’t limit ownership; What are the roles & responsibilities of each group involved? What’s the hierarchy & decision-making process? You may think it’s a boring adjustment. To me it provides the right amount of ambiguity that allows companies to give meaning to their intranet, keep a close eye on trends and deliver something that helps people be a valued part of the network. At its core the intranet is not dead. We have evolved the meaning as technology has enabled different opportunities. These trends are just ways of delivering the core definition in more eccentric ways. Perhaps a new label is required? Digital Workplace? Digital Front door? Modern Workplace? Label it what you will, the definition is still the same. So how do you delivery something? Process is important as it ensures focus. These 5 steps are what I typically. I’ll do a follow up blog on this process. The double diamond seems to be a popular method of approaching design thinking for most UX designers. Discover, Define, Develop, Deliver. But often clients and stakeholders start to run for the hills when they realise that the discover phase involves time consuming user research, research that the client believes they don’t need to do because “they already know their users”. A lean approach to user experience design may be an easier way to sell design thinking to a client as it involves starting with assumptions and creating hypothesis that may solve a problem, then testing these hypotheses with real users in a short time frame. I find this to be a better starting point with clients as it saves time and engages them more from the beginning of the project, making the design process more transparent. Just in-case that first paragraph made no sense to you, don’t worry. I find the best way of learning is by seeing an example. I decided to adopt a lean approach to a little challenge given to me – improve the ASOS app in order to increase conversion rates. [Our service/product] was designed to achieve [these goals]. We have observed that the product/service isn’t meeting [these goals], which is causing [this adverse effect] to our business. How might we improve [service/product] so that our customers are more successful based on [these measurable criteria]? As this is a hypothetical I can’t say I know the goals of the ASOS app, but I can take a good guess based on a quick google search and their press releases. From this I created a more fleshed out problem statement: The ASOS app was designed to be the favoured place for twenty-something fashion lovers to be inspired by fashion and buy clothes. The ASOS app isn’t meeting these goals which is causing a stagnation in sales and profit loss to our business. How might we improve the ASOS app so that our customers will want to buy more clothes and follow through with sales. Once you have a clear problem statement it’s time to capture the audience you are focusing on. 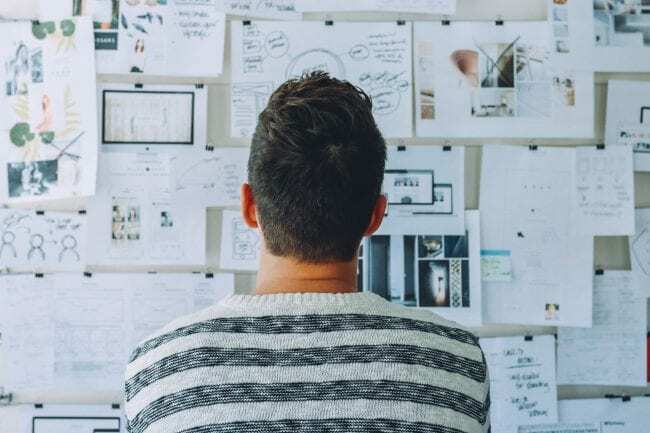 Proto-personas are an archetype of key users you will be focusing on, however a proto-persona is different to a regular persona as it is purely based on assumptions which you will later validate. As I did not have access to the ASOS team my assumptions were based on a few press releases and previous case studies on ASOS. From that I created one Proto-persona. In a client setting this is a good in 2 ways. Firstly, you are getting them to think about their users. Secondly, it’s a quick and dirty way to get their current knowledge on their users. From this quick research, which only took a couple of days, I updated my proto-persona and re- prioritised my hypotheses based on the pain points that both would critically affect the business and users. The key point I am trying to make is that proto-personas and hypotheses are fluid artefacts, they are not set in stone and the beauty of a lean approach is to constantly validate and update your assumptions. It’s also a good way of quickly getting the client to see the benefit of a design thinking approach in a ‘sneak peak’ way. Once they start to see the benefits of what a bit of research and user input can have they may be more inclined to invest more in a human centred design approach in the future. In my next blog I’ll be going through the prototype I made based on these insights and how I iterated its design based on testing it with only 5 users. The experience the user is likely to have with given technology based on various factors that contribute to delivering that technology to them; presentation, training, accessibility, necessity, intuitiveness, just to name a few. These factors are not solely focused on the user and their role in the human – technology interaction process, but also their experience of dealing with us as solution providers. That is to say, the way in which we engage the experience and behaviour of the user is just as important to the delivery of new technology to them, as is developing our own understanding of a broader sense of human interfacing technology behaviour. UX is a colourful – pun intended – profession/skill to have within this industry. Sales pitches, demos and generally ‘wowing the crowd’ are a few of the ways in which UX-ers can deploy their unique set of skills to curve user behaviour and responsiveness in a positive direction, for the supplier especially. Not all behavioural considerations with regards to technology are underpinned by the needs or requirements of a user, however. There are more general patterns of behaviour and characteristics within people, particularly in a working environment, that can be observed, to indicate how a user experiences [new] technology, including functionality and valued content that, at a base level, captures a user’s attention. The psychology of this attention can be broken down into a simplified pathology: the working mechanisms of perception as a reaction to stimulus, and how consistent the behaviour is that develops out of this. The stimulus mentioned are usually the most common ones when relating to technology; visual, auditory. You’ve likely heard of, or experienced first-hand, the common types of attention in everyday life. The main three are identified as selective, divided and undivided. Through consistency of behavourial outcomes, or observing in a use case a consistent reaction to stimuli, we look to observe a ‘sustainability of attention or interest’ over an extended period of the time, even if repetition of an activity or a set of activities is involved. This means that the solution, or at very least, the awareness and training developed to sell a solution, should serve a goal of achieving sustainable attention. How Can We Derive a Positive User Experience through Psychology? Too much information equals lack of cognitive intake. From observation and general experience, a person’s attention, especially when captured within a session, a day or week, is a finite resource. Many other factors of an individual’s life can create a cocktail of emotions which makes people in general, unpredictable in a professional environment. The right amount of information, training and direct experience should be segmented based on a gauge of the audience’s attention. Including reflection exercises or on-the-spot feedback, especially in user training can give you a good measure of this. The mistake of cognitively overloading the user can be best seen when a series of options are present as viable routes to the desired solution or outcome. Too many options can, at worst, create confusion, an adversity to the solution and new technologies in general, and an overall messy user experience. There are new ideas still emerging around the discipline of user experience, ‘UX’. From my experience with it thus far, it presents a case that it could integrate very well with modern business analysis methodologies. It’s more than designing the solution, it’s solutions based on how we, the human element, are designed. You walk into your client’s office, and meet the “scrum master” what’s that again? You think. Oh yeah – this is one of those Agile projects. That’s cool, you think, as you quickly rummage through your notes from class and try to remember all the lingo, like product backlog, sprints, scrums, features, user stories, epics…hang on where do I fit into all this? Nevermind, I have to rush to my first scrum meeting. Everyone is standing around a wall of post-it notes. Post-it notes! A UX designers’ best friend. I’m home. Wait a minute. They’re all saying a bunch of things I don’t understand and turns out we are already half way through the project and all the product features have already been decided on by a BA or if you’re lucky enough a previous UX designer that was involved in the ‘discovery phase’. “Peter – can you make this section stand out a bit more, try a few things and can it be done so we can release it this sprint?” asks the scrum master. “Sure” you reply. Wait a minute, did I just get cornered into making things look pretty. Is this what I signed up to? Why am I making it stand out more? You take your seat next to a developer after the scrum meeting feeling a bit deflated and introduce yourself. After speaking briefly, you realise he has a very different take on what UX design is and you think to yourself this is going to be a long uphill battle. Fast forward to the end of your first sprint, you’ve slightly tweaked some features that needed to be finished and helped the dev guys put it into HTML and CSS. You think you’ve gotten your head around the whole agile way of working, and are beginning to understand things like velocity points. You haven’t exactly gotten to work in the design process, but at least you’re learning how agile works. It’s time for the first ‘show case’ meeting and as it is an internal project you manage to sneak in some guerrilla testing that morning with users by walking around and asking them to have a look at the new features that’s just been released. Generally, they seem to get it, but you do notice a few holes in the design after seeing them struggle to use some features. At least now you can somewhat justify your design decisions and have some ideas for the next sprint. It’s come time for a ‘retrospective’ and your team mates were nice enough to say that what went well was your onboarding. You personally thought it was a train wreck but at the same time are relieved, they have some trust in your UX abilities, even if you feel you didn’t really do any UX work. It comes time to voice what didn’t go so well, and you say something along the lines of the “the designer should be working on designs a sprint ahead of the dev team” you’re not quite sure if you even understood what you just said. Then the product owner chimes in and says “my boss doesn’t really get the my favourites section”. Finally! A chance to state that users weren’t getting it either. “I could use some of the next sprint to test out the ‘my favourites’ section with users to see where they are struggling and update the designs based on that” you say. “Great! How many points?” she replies. How many points? How do I answer that? I’ll have to first think of scenarios to test, then test the current product, then update the design based on my findings, then make a prototype, then test again, then update, then…. Oh no they’re looking at me “umm 8 points” you say. “Can the developers work on other backlog items while you’re working on that?” She asks. “Yeah there’s other features to work on in this sprint, we can do that in the first week” replies one of the developers. Ok, so now I have not the whole sprint, but half the sprint to do this. Oh well. 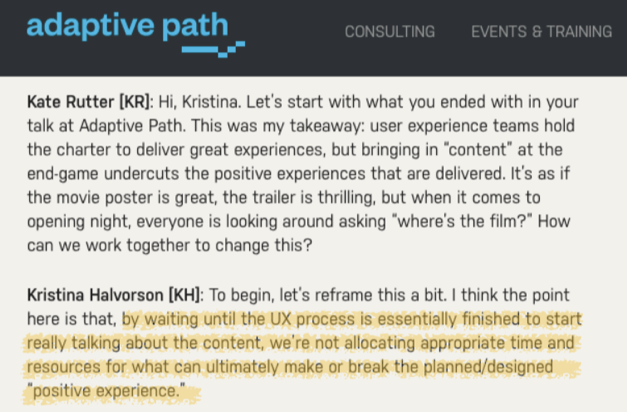 Looking back I could have said “how about we leave the development of the newly designed feature till the next sprint while I work on the design this sprint” Experience and a bit of confidence that you will inevitably build will ensure you will say this next time. And thus, you can see the conundrum that many designers and no doubt, you, will face when working in an agile project. I could have written a blog about things like sprint zero, with diagrams demonstrating how a UX designer should be involved in the discovery phase before user stories are created or how a UX designer can work a sprint ahead, but there’s plenty on that. In reality this doesn’t always happen. You may be thrown in mid project, or mid sprint! and it’s going to take time to get to know your team and how they work. The real world is a mess, as is, design. Yes, there is a design process, but as a designer you will realise, that the process isn’t always linear. You’re going back and forth through that double diamond (or whatever dogma you’ve been fed). You sometimes have to make compromises, you sometimes have to wait it out and gradually, hopefully, with your speaking prowess, more user adoption and your passion for design thinking you will convince your agile team mates to start allowing more time for human centred design before and during an agile project. Don’t be disheartened, pick your battles, and remember at the end of the day it’s not a process war, everyone on the team wants to build a great product, it’s how you get there that can get messy – something that design and agile have in common. Ps – I will include a diagram after all. This is in continuation with my previous post in which we made HTML table sortable if you haven’t read it yet, give it a read first at URL. 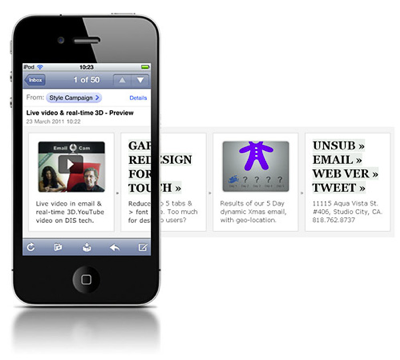 Next obvious request from end users is to introduce pagination in it. We will be coming up with the following table in which data can be sorted and paged at the same time, this will have all of its data retrieved on the client side for paging and sorting. The first part of this blog will help our users to select/set no. of records displayed on a page by displaying a list of available options. The second part will let users navigate to the next or previous page, and they will also have an option to jump directly to first and/or last pages. Overall appproach and solution will be described in the following sections. Our HTML template for the directive will be as follows, it will have some basic HTML and events to respond to change in user interface. The first thing we must have to do in our directive is to create a copy of original items on which we have to apply pagination. Thirdly, as we are doing a client-side paging, we need to maintain original array and only show a slice of it in our HTML table, and then as the user selects or change page no. or no. of records on a given page we will render that page accordingly. Resets the start position (begin) to start from index 0. Calculates the start position (begin) to start showing records based on current page index and page size. 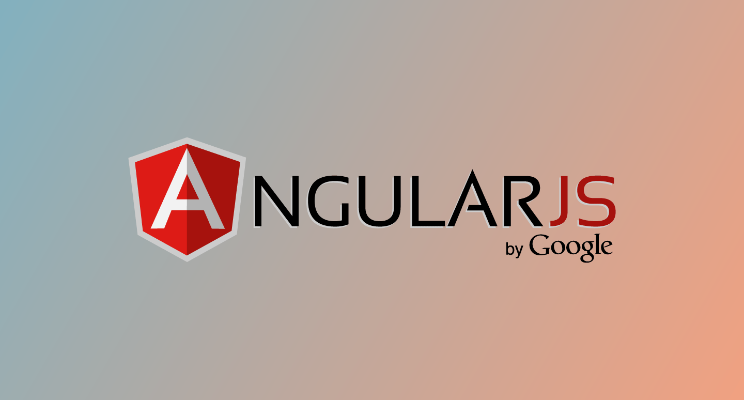 By playing around with AngularJS, we can create our custom directives best suited to our needs and without an overhead of adding an external library to reuse a part of it only. This can give significant control in functionality implementation as per our needs. 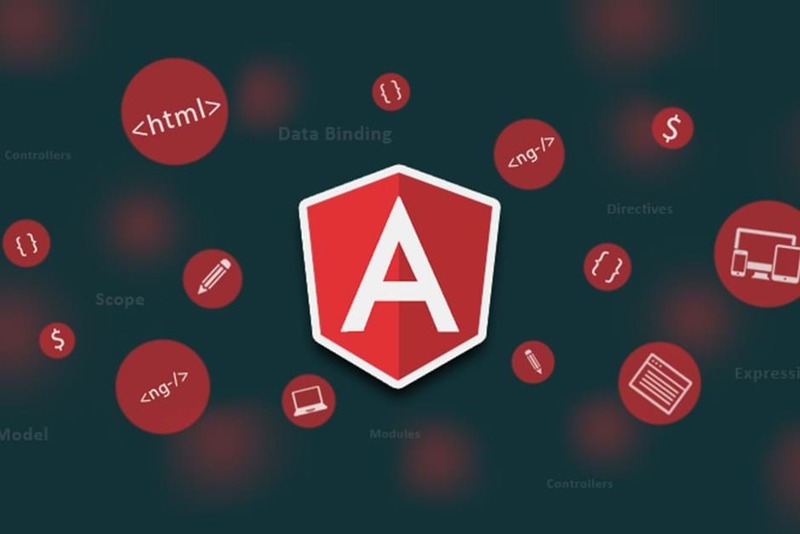 We were working on a project and have built its front-end on AngularJS v1.6.6 along with Office UI Fabric, we have used community-driven library ngofficeuifabric when we came across a situation of table sorting and realised that it wasn’t a great fit for our custom sorting and filtering requirements raised during future sprints by our product owners and business in general. We have attached a function to table header to record a click on a specific column and get the column’s desired sorting order, this will just record at the start of the function to set the direction for sorting. 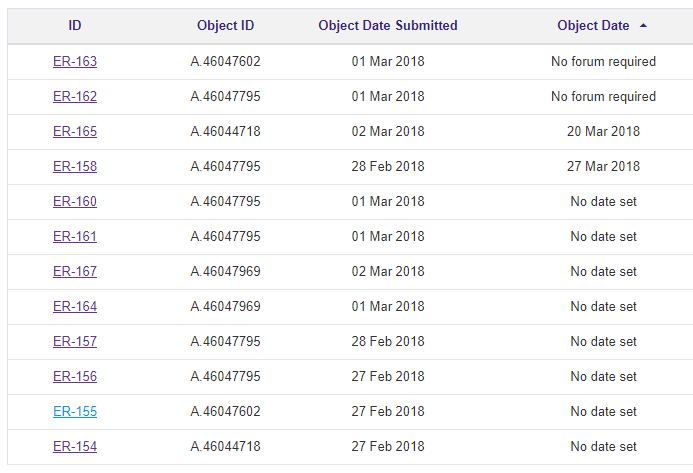 Pictures below will show custom sorting on the column Object Date as it has got a combination dates and text and client wanted to sort it in a specified order. 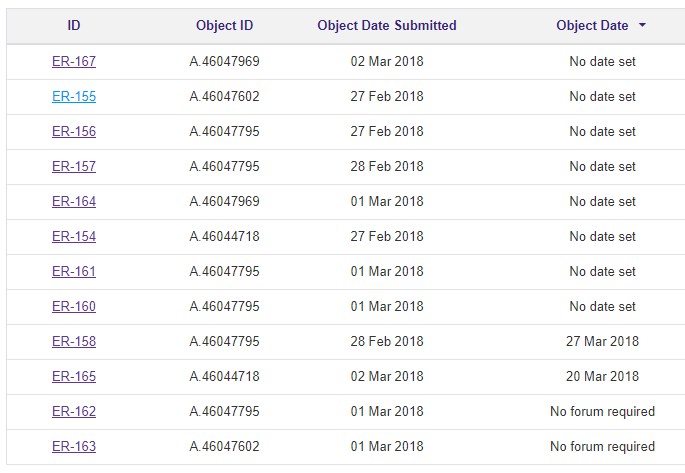 Another view of looking at the same table but sorting on the column ‘Object Date submitted’ as it contains only dates. It’s an easy way to use plain Angular and HTML to order/sort your table as per the needs. This can be enhanced further to cater specific needs or use 3rd party library to deliver rich functionality. Microsoft announced Site Scripts and Site Designs in late 2017 which became available for Targeted release in Jan 2018, and released to general use recently. It is a quick way to allow users to create custom modern sites, without using any scripting hacks. Hence, in this blog we will go through the steps of Site Scripts and Site design for a Simple SharePoint Modern Site Creation. Before we get into detailed steps, lets’ get a brief overview about Site Designs and Site Scripts. Site designs: Site designs are like a template. They can be used each time a new site is created to apply a consistent set of actions. 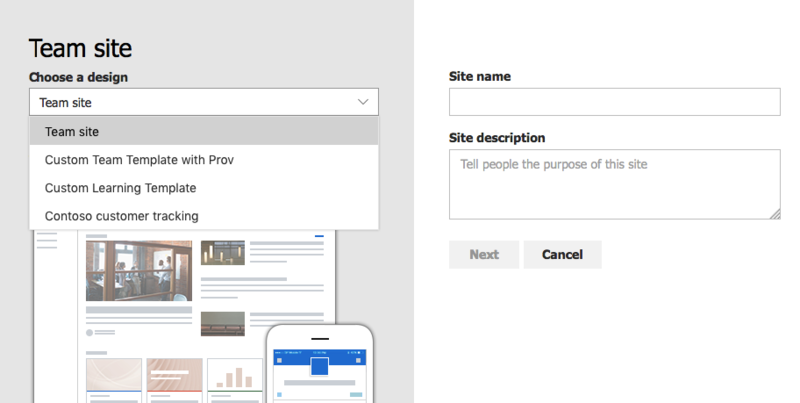 You create site designs and register them in SharePoint to one of the modern template sites: the team site, or communication site. A site design can run multiple scripts. The script IDs are passed in an array, and they will run in the order listed. Site Scripts: Site script is custom JSON based script that runs when a site design is selected. The site scripts detail the provisioning items such as creating new lists or applying a theme. 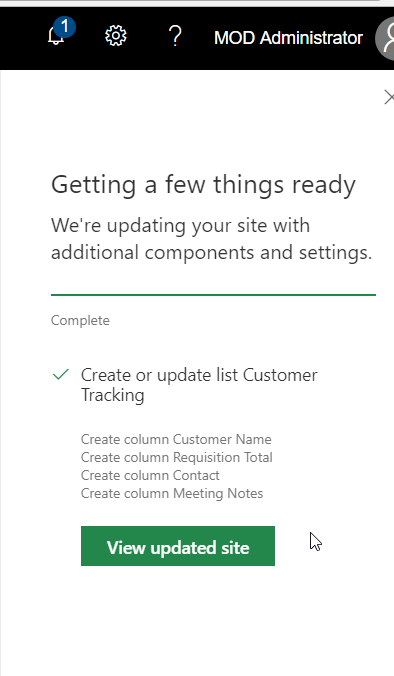 When the actions in the scripts are completed, SharePoint displays detailed results of those actions in a progress pane. They can even call flow trigger that is essential for site creation. 1. Create a Site Script using JSON template to call actions to be run after a Modern Site is created. Quick and Easy right!? Now lets’ get to the “how to”. 1. JSON Template: We will need to create a JSON template that will have the declarations of site resources that will be provisioned after the site is created. For more details, here is a link to Microsoft docs. The brief schema is below. For our blog here, we will use the below schema where we are creating a custom list with few columns. 3. Site Design: After the Site Script is added, create the Site Design from the Site Script to be added to the dropdown menu options for creating the site. Add-SPOSiteDesign -Title “[ Site design title ]” -WebTemplate "64"  -SiteScripts “[ script GUID from above step ]”  -Description "[ Description ]"
5. Click on the Manual Refresh button as per screenshot after the site upgrade process is complete. When ready, the final Team site will look like the screenshot below after provisioning is complete. In this blog, we came to know about Site Script, Site design and how to use them to provision modern team sites. Writing for the Web – that includes your company intranet! You can have a pool made out of gold – if the water in it is as dirty and old as a swamp- no one will swim in it! The same can be said about the content of an intranet. You can have the best design, the best developers and the most carefully planned out navigation and taxonomy but if the content and documents are outdated and hard to read, staff will lose confidence in its authority and relevance and start to look elsewhere – or use it as an excuse to get a coffee. The content of an intranet is usually left to a representative from each department (if you’re lucky!) Usually people that have been working in a company for years. Or worse yet, to the IT guy. They are going to use very different language to a new starter, or to a book keeper, or the CEO. Often content is written for an intranet “because it has to be there” or to “cover ourselves” or because “the big boss said so” with no real thought into how easy it is to read or who will be reading it. Content on the internet has changed and adapted to meet a need that a user has and to find it as quickly as possible. Why isn’t the same attitude used for your company? If your workers weren’t so frustrated finding the information they need to do their job, maybe they’d perform better, maybe that would result in faster sales, maybe investing in the products your staff use is just as important as the products your consumers use. I’m not saying that you have to employ a copywriter for your intranet but at least train the staff you nominate to be custodians of your land (your intranet- your baby). Below are some tips for your nominated content authors. People read differently thanks to the web. They don’t read. They skim. What they find isn’t relevant to what they need or want. They’re trying to answer a question and they only want the answer. They’re trying to do a task and they only want what’s necessary. Who are they? New starters? Experienced staff? Both? What is the lowest common denominator? How educated are they? Are they familiar with business Jargon? As an intranet, the main purpose is to inform and educate. Not so much to entertain or sell. Use headings and sub headings for each new topic. This provides context and informs readers about what is to come. It provides a bridge between chunks of content. Use short sentences. And use only 1-3 sentences per paragraph. ‘Front Load’ your sentences. Position key information at the front of sentences and paragraphs. Chunk your text. Break blocks of text into smaller chunks. Each chunk should address a single concept. Chunks should be self-contained and context-independent. It is OK if a page scrolls. It just depends how you break up your page! Users’ habits have changed in the past 10 years due to mobile devices, scrolling is not a dirty word, as long as the user knows there’s more content on the page by using visual cues. USE WHITE SPACE – this makes content easier to scan, and it is more obvious to the eye that content is broken up into chunks. Use VERBS (doing word) as links. Hemingwayapp.com assesses how good your content is for the web. Company XYZ has contracted arrangements with a number of providers for travel. These arrangements have been established on the basis of extracting best value by aggregating spend across all of Company XYZ. Use personal pronouns such as we and you, so the user knows you are talking to them. They know where they work. Remove Fluff. The author is saying the same thing twice in two different ways. This can easily be said in one sentence. XYZ Travel Solutions must be used to make all airfare, hotel and car rental bookings. This sentence is too long. This is a case of using too much jargon. What does lowest logical fare even mean? And the second part does not make any sense. What exactly are they trying to say here? I am not entirely sure, but if my guess is correct it should read something like below. Qantas is our preferred airline for both domestic and international air travel. When flying, choose the cheapest rate available within reason. You can only choose another airline if it is cheaper by $50 for domestic and cheaper by $400 for international travel. Ground transportation: Company XYZ preferred provider for rental vehicle services is Avis. Please refer to the list of approved rental vehicle types in the “Relevant Documents” link to the right hand side of this page. Front load your sentences. With the most important information first. Don’t make a user dig for a document, have the relevant document right there. Link the Verb. Don’t say CLICK HERE! Avis is our preferred provider to rent vehicles. View our list of approved rental vehicles. Booking lead times: To ensure that the best airfare and hotel rate can be obtained, domestic travel bookings should be made between 14-21 days prior to travel, and international travel bookings between 21 and 42 days prior to travel. For international bookings, also consider lead times for any visas that may need to be obtained. Front load your sentence… most important information first. This is a good opportunity to chunk your text. This will ensure that the best airfare and hotel rate can be obtained.